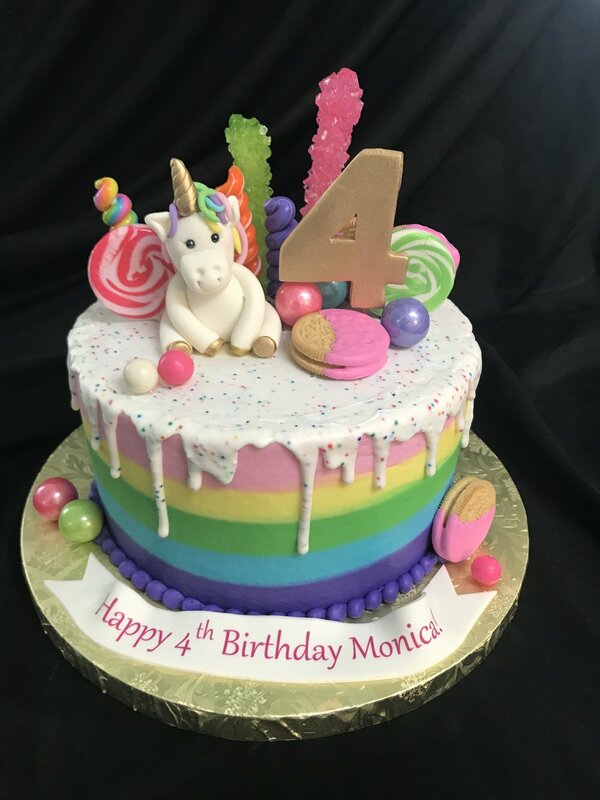 Baking Blog — Deena's Cakes and Cookies Ltd.
A new trend in cakes is to use candy bars, cookies and ganache drips to decorate and dress up your cakes! So many choices and the possibilities are endless! So you have a special occasion coming up and want a cake to serve your guests and also to be a focal point of your celebration! The best way to have that happen with Deena’s Cakes and Cookies is to plan ahead. I’ve been trying to get control of my calendar and to have a work/life balance so in order for that to happen I’ll be taking a set number of orders, I’m going to be taking some time off to celebrate special times with my family and friends. If you want to get on my calendar get in touch and I’ll see if I can help. So once we decide if your date is available here’s how things usually go...I’ll ask if you have something specific in mind, I can come up with some options that fit your budget and we talk about cake flavors, frosting or filling, wording etc. I’m always happy find ideas, make suggestions to be able to make the cake you need/want! On occasion the ideas and budget clash and it’s not beneficial for us to work together but that doesn’t happen often! Thanks so much for stopping by, let me know if I can help you make your celebration a little sweeter! This cake was an experiment for me! Chocolate cake with chocolate ganache filling with the addition of Ballreich's potato chips and pretzels inside.